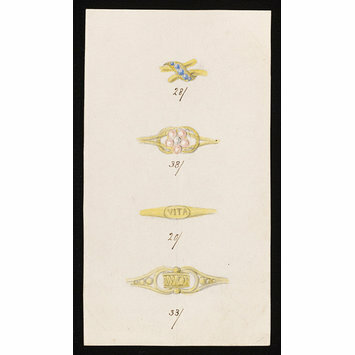 Rectangular card with pencil and watercolour designs for four rings. The first design is comprised of a central ornament of gold ribbon inlaid with a row of blue stones. 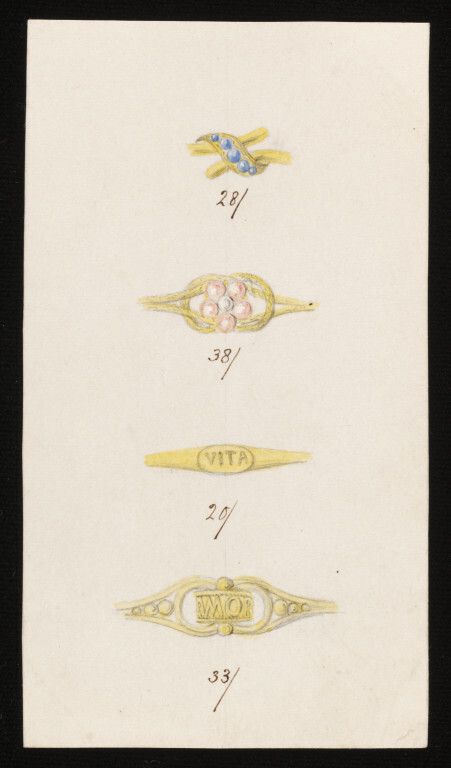 The second design is comprised of a central knot of gold, at the centre of which is a flower-shaped cluster of pink pearls or coral. 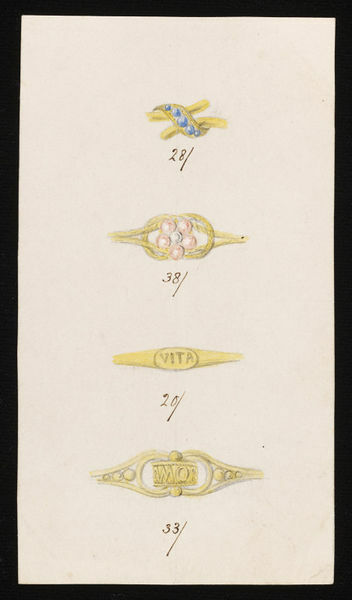 The third design is comprised of a gold band, in the centre of which is the inscription "VITA". The fourth design bears the inscription "AMOR." The annotation in ink beneath the first design reads; "28/", the second; "38/", the third; "20/", and the fourth; "33/".